The two La Fuente Alemana restaurants in Santiago, Chile visited by Anthony Bourdain, but already well known by Chileans, serves up a mean lunch – at the center of which is the lomito. The lomito is a large pork sandwich, about 15 centimeters across, typically teaming with avocado and dripping in mayonnaise. 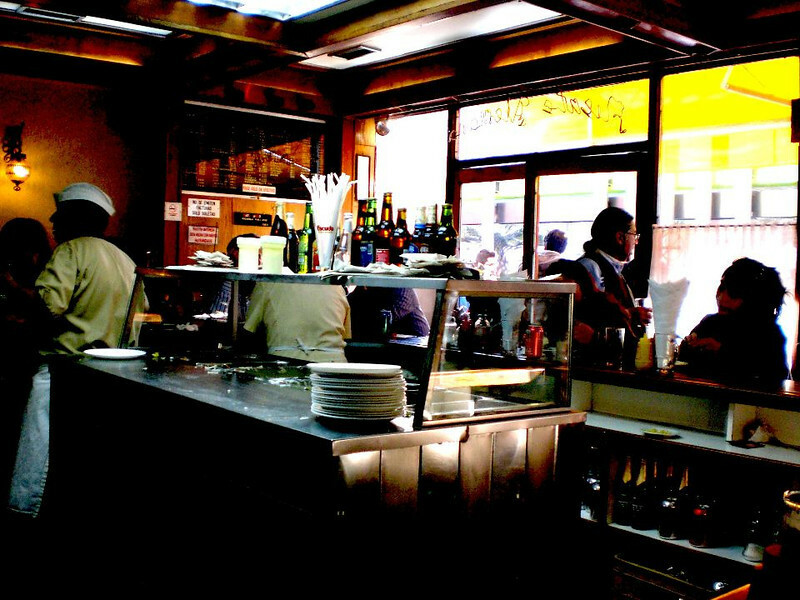 Walking into La Fuenta Alemana in the middle of lunch hour, between noon and 3pm, can be overwhelming. The interior is packed and becomes standing room only during this peak time, but you too can order your lomito, with a side of local beer in a few easy steps – even if you don’t speak Spanish. 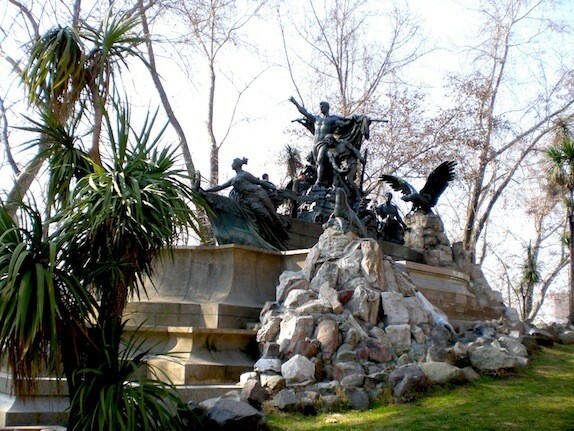 There are two of them in the city, one in the Providencia area near the Pedro de Valdivia metro station and the other, further southwest by the Baquedano stop. They aren’t open on Sundays and a visit during the week around lunchtime ensures you’ll see the place in action. For a less hectic atmosphere, come around 2:30pm when things begin to slow down. When you walk in, don’t stand in the line right by the door. That’s for people paying – make your way to the counter in the middle and sit down if there’s a spot. Otherwise you can stand and wait, people eat fairly quickly and spots open fast. Be prepared with your order, one of the waitresses will come up to you in a flash after you take your seat. You can go for the “completo” or “full” lomito with everything. The waitress will confirm with you that your lomito will be completo, with palto (avocado), mayonnaise, queso (cheese), and chucrut (sauerkraut). That’s the actual La Fuente Alemana statue below, which the restaurant is named after. For good measure you can get a Kuntsmann, a slightly heavy Chilean beer along with your order. The instant your order is confirmed, a slab of chopped beef and pork will be thrown down on the grill in front of you, and the bread will be prepped with avocado. Within a few minutes a plate, barely big enough to fit your lomito, will be staring back at you with a fork and knife. Don’t be fooled though, most Chileans go in with their hands and might use the utensils to clean their plates. Once you’re finished, the common “check please” sign will be all you need to get your receipt. Take to the line you avoided upon walking in where you pay for your order. If you liked the service you can walk back to where you were sitting, say “gracias” to your waitress, and drop in a few coins in the numbered boxes located around the counter. With you meal payed and tip left you can take a nice stroll up Avida Libertador Bernardo O’Higgins Avenue or hop the metro to Plaza de Armas and visit La Moneda Palace. After a few active hours you just might be able to burn off some of your lomito, which will likely keep you full for days. OMG! It sure does look yummy as h*ll!!!!! I’m drooling over here… Wanna go there N O W !!!!!! It’s definitely a power lunch!! …and you’re full for days! Anil, that looks like a mean sandwich. Do they give out to go boxes? I didn’t see any, there were mostly clean plates! OMG, got be a downer, but as a veggie that looks pretty gross. But, love Mr. Bourdain! Funny, I only eat meat when trying new things and this was one of them. One for a lifetime is a lot of calories at least! Nevermind what Andi say, that looks absolutely amazing. I’m now going to lunch! 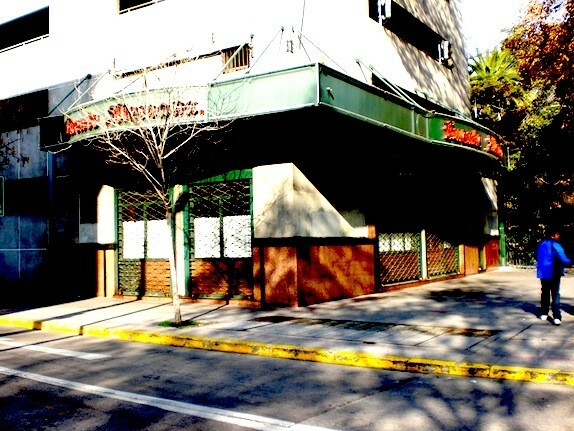 Maybe you’ll get lucky and find a Chilean place to eat! It was gigantic! I’m still full from it!! I think it would take an all day hike to work off that lomito. It does look tasty though. 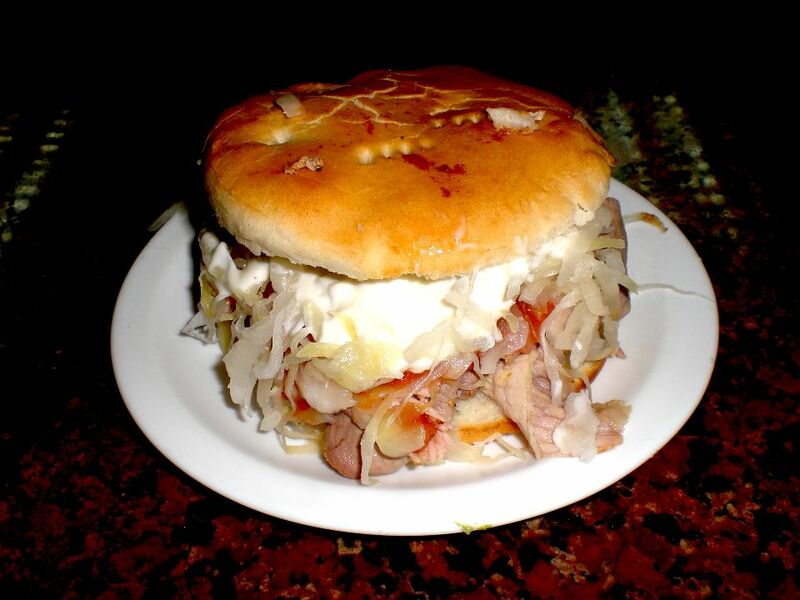 I would love to try and do a calorie count of a lomito, but don’t think I can count that high! 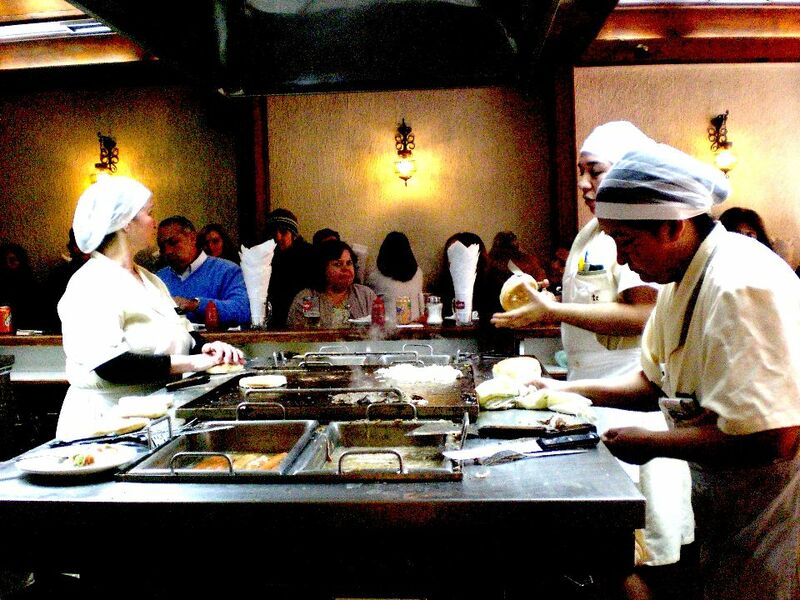 The lomitos, churrascos and completos at Fuente Alemana are amazing and delicious! You missed my personal favourite: the lesser-known Rumano (Romanian), a mixed lamb and beef oblong hamburger patty. Aah! Now I’ll have to go back to try it! Have a great trip back home!